Quick summary: Students investigate how rainfall levels are changing in Australia. Students calculate and compare the percentage of water available and inflow levels in cities across Australia. Finally students are asked to research and assess the strangest or weirdest water harvesting or storage ideas they can find, and to create a blog post on these ideas. Students understand the long-term effects of rainfall shortage. Students recognise some existing ideas for water storage and harvesting. Students demonstrate the ability to work with percentages and related calculations. Syllabus Outcomes: GE4-1 ,GE4-2, GE4-3, GE4-4, GE4-5, T4.1.2, T4.1.3, T4.4.1, T4.6.2. Digital technology opportunities: Blog post creation (e.g. edublogs), digital sharing capabilities. Keywords: Water, rainfall, storage, inflow, harvesting, climate change, percentages. Overarching learning goal: By participating in this activity students will understand the long-term effects of rainfall shortage and recognise some existing ideas for water storage and harvesting. They will also demonstrate the ability to work with percentages and related calculations. Teacher content information: Parts of NSW and Queensland are currently facing what some are calling the worst drought in living memory. Large parts of eastern Australia have been experiencing drought for between one and seven years. Climate change is predicted to increase the frequency and severity of droughts in Australia, with serious and long-lasting consequences for farmers, consumers and communities. The report on this CSIRO webpage summarises some of the big challenges for future water supplies in Australia. 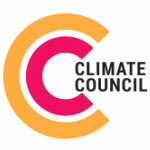 For more reliable information about climate change in Australia, visit the Climate Council. Thought starter: What is a drought? Parts of NSW and Queensland are currently facing what some are calling the worst drought in living memory. Large parts of eastern Australia have been experiencing drought for between one and seven years. Climate change is predicted to increase the frequency and severity of droughts in Australia, with serious and long-lasting consequences for farmers, consumers and communities. Part 1. In April 2007, the majority of capital cities on Australia's east coast were under some sort of water restriction. The table below shows the effect the drought had on these cities' water storage levels. Calculate the actual amount of water that was available as a percentage.